Writing a Killer CV – You cannot underestimate the importance of your CV. This is your first impression. This is your chance to capture your potential employer’s attention, to pique his or her interest. 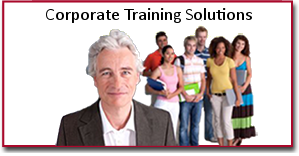 Presentation Skills – Excellent and professional presentation skills are an essential tool for modern business. You reflect yourself, your team and your business when you deliver a message, however short or seemingly unimportant. Time Management – Time management has been in existence for a long time, but the term creates a false impression because time cannot be managed: we can only manage ourselves and our use of time. Effective Written and Verbal Communication – Most people in business think they communicate pretty well, and in our experience that’s generally true. However, good communication skills have to be developed, honed and added to on an on-going basis. Presentation Skills Master Class – This two-day programme is suitable for all levels of ability and allows time for each delegate to develop and broaden their style through a series of brief presentations. The course covers not only the effects of body language and tone of voice, but also the effect of language. First Aid for Appointed Person – The Health and Safety (First-Aid) Regulations 1981 require employers to provide adequate and appropriate equipment, facilities and personnel to enable first aid to be given to employees if they are injured or become ill at work. Negotiation Skills – Secrets to a Successful Deal – The secret to a successful deal is knowing how to negotiate effectively. Negotiating is not always about price. Successful negotiation is not about you winning at the expense of the other party. Your Customers, Your Secret Asset – This course will explain how to develop an avid community of customers with customer services. Professional Mental Health Training – Mental health issues affects 1 in 4 of the adult population at some time in their lives. Mental illness can affect anyone. Mental illness is one of the most common reasons for time off work. This course explains how to work with mental illness in the workplace. Building Self Esteem – Self esteem is the overall opinion that we have of ourselves, how we judge or evaluate ourselves and the value that we attach to ourselves as people. Low self esteem can impact upon an individual’s daily routine by affecting work, personal relationships, self care and leisure activities. Dealing With Loss and Personal Change – The Dealing with Significant Loss and Change course is based around the understanding of the 5 stages of loss, as well as exploring other issues such as coping strategies, reactions and the importance of support systems. This course is a form of change management aimed at helping people deal with loss. Managing Stress – The Managing Stress course helps identify the causes and effects of stress. Participants will learn practical skills to help manage their stress more effectively. Finance for Non-Financial Manager – This course aims to teach managers and leaders the formal skills required to; analyse financial information and understand financial functions of specific roles of those in your organisation to make better decisions and within your organisation. This course is aimed at individuals with little or no understanding of finance but require a functional understanding of finance. Customer Service Level 2 Award – The aim of this course it to give basic customer service skills to those who are looking for them. This course is ideal for individuals who have management responsibilities but no formal training, and are serious about developing their abilities.